So far Jon Nappa has created 18 blog entries. It’s an exciting summer for this website. New updates are underway. You can expect to see more available NIPI product and a few new categories. Exciting Creative Process Interviews with well-known, accomplished talent! 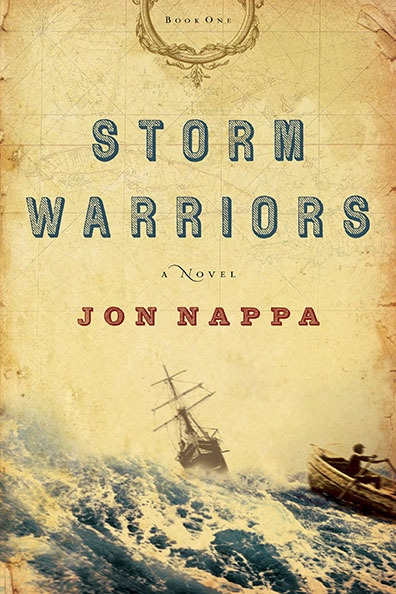 New Storm Warrior Paperback Editions available here! I’m rarely late. Deadlines do much to discipline my focus. Some of my writing friends feel opposite. Some think a purer motive is the work itself. I like the sound of that, but I can’t deny the usefulness of hard deadlines in my working life. I’m 50+ pages into a 95 page teleplay. I’m at the phase where even a prolonged conversation at breakfast can derail me from my tunnel time. It’s mornings like these that checking emails must wait until later, and blog entries like this one must remain brief. What things do you do as part of your writing ritual? There are some things I repeat every day (like where I write), while I intend the substance of what I’m writing to be new every day. If not new, at least refined. Of course, I’m referencing the famous autobiography by Maya Angelou, I Know Why the Caged Bird Sings. In her book, Maya writes how strength of character and passionate purpose can overcome great trials and injustice. Passion Projects, Contractual Assignments, Convolutions and Pleasant Surprises! Convolutions – too much of one and not enough of the other – from either direction!